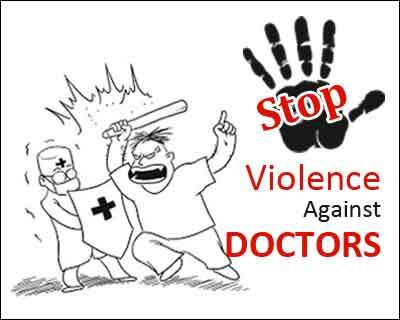 New Delhi: In an unfortunate event for the medical fraternity, a female resident doctor, who is a postgraduate trainee in medicine department Dr RML hospital, Delhi was allegedly beaten mercilessly by the relatives of the patient recently. According to a PTI report, the incident took place on April 2nd when one of the patient’s relatives slapped a female doctor over an argument over tests. The doctors had informed the patient’s family members about all sort of tests that she needed to undergo. As per the doctors at the hospital, an 18-year-old patient suspected of Aneurysmal bleed was being treated and was recovering,. Unhappy with the recovery speed, the relatives decided to leave against medical advice. The female resident doctor tried to provide treatment and progress report so that the patient doesn’t lose her time in reinvestigation at some other hospital and was brutally attacked by a well learned and qualified advocate accompanying the patient and threatened the doctor of dire consequences. Subsequent to the incident, the administration at the hospital filed a complaint with the police. “In the past six months, this is the fourth incident at the RML Hospital wherein a doctor has been assaulted,” a senior doctor informed PTI adding that the administration has lodged a complaint in this regard. perpetrators of such heinous crime and ensure that expeditious justice is meted out to them as per law. It a unfortunate Country where they do not understand the gravity of sacrifice doing by the Doctors in our Society. Time has come that Doctors should protest against Hospital management and law and order . The criminals must be punished. If necessary , doctors protest may include steps to stop working day and night to save lives of citizens. Let the society feel what services doctors renders to societies. Once more I reiterate….all doctors carry a weapon…maybe a taser gun….use it…and even if the opponent is an advocate….break his jaw….so he notonly spends money to fix it….but will always carry a reminder of bearing an uglier face.